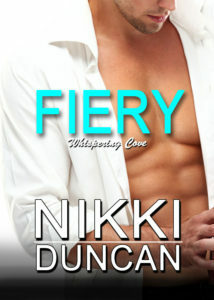 Nikki Duncan – Read something NDcent today! I read this quote from Sheryl Sandberg in a book recently and found it fitting. I’ve made many choices through my life and along my publication journey. Some have been good, some have been poor. Every decision has been the best I had in the moment. Every decision has made me stronger. Every decision has led me to where I am today, and I consider myself a success. As I worked to develop the characters and stories you find here, I was fueled by some of those decisions. Some characters experience things similar to things I experienced. Some took adventures I dream of being brave enough to embrace. Every one has an inner strength born of life lessons. I hope you find your perfect read and see your own inner beauty and strength. Short reads for quick fixes. What's life without a little danger? Learn a few insights into Nikki. It doesn’t matter what your background or circumstances have been that led you to where you are. It matters what you do with where you came from and what you have. If you connect to one thing in my stories, my hope is that it’s the inner strength that allows each character to become their best self. May you be blessed to know the same within yourself. They all waited in Whispering Cove. A barnacle-suckin’ hand with a king and a six. Byron Mitchell placed his second card facedown atop the first and reached for his tumbler of rum. The sand’s cool grains shifted between Ryan Alden’s toes as he ran recon from the crowd’s outskirts.